During 20 – 23 January 2019 the course titled “Accounts & Financial Management” was organised at InM Training Center jointly with PKSF for the Branch level Accounts Officers of PKSF Partner Organizations. A total of 23 participants attended the course. This four-day training aims at providing a framework of accounts and financial management to the microfinance practitioners so that they can understand, prepare and interpret financial statements methodically. The training sessions were facilitated by experienced resource persons mainly from InM and PKSF. InM and PKSF jointly arranged the training programme on “Loan Management of Microenterprise” to further strengthen the microfinance sector through employment creation vis-à-vis financial sustainability of the MFIs. This four-day training aims at providing a framework of microenterprise operations and management related issues so that the practitioners understand the programme to a broader aspect and take effective decision at their organisational level while financing the enterprises. 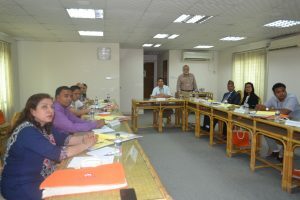 During 21 – 24 January 2019, InM organised this training courses where 23 participants, mostly programme coordinators, Area Managers, Branch Managers selected by PKSF attended the course. 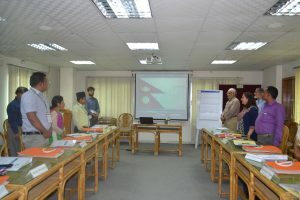 The training sessions were facilitated by the resource persons from InM and PKSF. InM has imparted a ToT (Training of Trainers) course jointly with PKSF that has been designed to enhance the trainer’s capabilities necessary for effective training design and delivery methods. 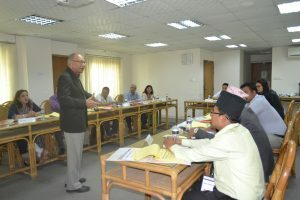 It also aims at giving concept on training process, critical factors that contributes to a successful management of a training programme, adult learning principles and their implications in training design and delivery, importance of linking training needs to organizational needs, using appropriate training methods and media to conduct and facilitate a training session etc. 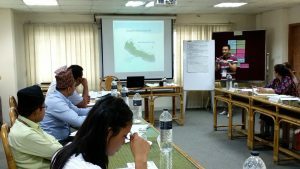 20 participants attended the ToT course that took place during 27 – 31 January 2019 at InM Training Centre, Dhaka. The participants were mostly microfinance and training professionals. The training sessions were facilitated mainly by the PKSF and InM resource persons. As per request of Executive Director, CODEC, a specialised course was designed for Branch Managers of CODEC. The title of the training is “Building Skills of Branch Managers on Microfinance Operations and Management at Field Level”. A total of 27 Managers joined the course at CODEC Training Centre, Chattogram during 14 – 17 January 2019. 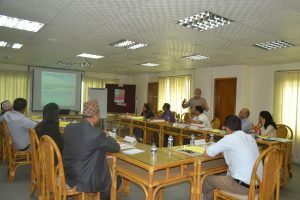 This training especially focused on Risk Management at Branch level highlighting the early signaling techniques to avert losses due to delinquency. Senior and mid-level InM Trainers were the facilitators. It is pertinent to be mentioned that a total of 9 batches training will be conducted by InM in Patuakhali, Bagerhat and Chattogram. As per request of Executive Director, CODEC, a specialised course was designed for Branch Managers of CODEC. The title of the training is “Building Skills of Branch Managers on Microfinance Operations and Management at Field Level”. A total of 25 Managers joined the course at CODEC Training Centre, Bagerhat during 17 – 20 December 2018. As per request of Executive Director, CODEC, a specialised course was designed for Branch Managers of CODEC. The title of the training is “Building Skills of Branch Managers on Microfinance Operations and Management at Field Level”. 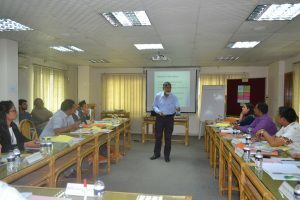 A total of 27 Managers joined the course at CODEC Training Centre, Patuakhali. This training especially focused on Risk Management at Branch level highlighting the early signaling techniques to avert losses due to delinquency. Senior and mid-level InM Trainers were the facilitators. It is pertinent to be mentioned that a total of 5 batches training will be conducted by InM in Patuakhali, Bagerhat and Chattogram. As per request of Executive Director, CODEC, a specialised course was designed for Branch Managers of CODEC, Chattogram. The title of the training is “Building Skills of Branch Managers on Microfinance Operations and Management at Field Level”. A total of 24 Branch Managers joined the course at their training centre. This training especially focused on Risk Management at Branch level highlighting the early signaling techniques to avert losses due to delinquency. Senior and mid-level InM Trainers were the facilitators. It is pertinent to be mentioned that a total of 5 batches training will be conducted by InM in Chattogram, Patuakhali and Bagerhat.